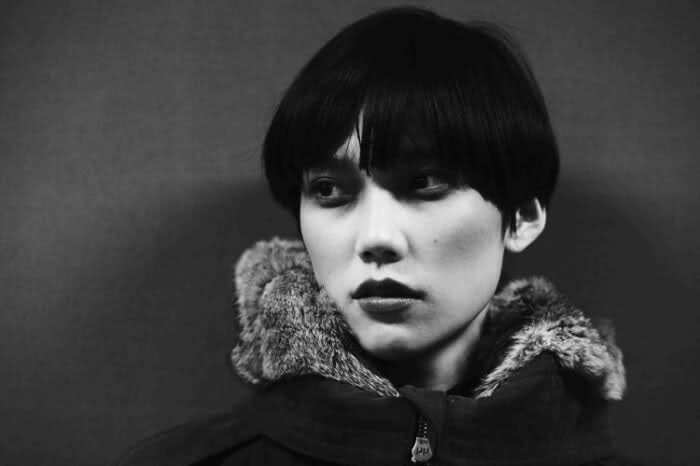 The lovely and beautiful Tao Okamoto has joined forces with photographer John Paul Pietrus to raise funds for the disaster relief in Japan. Hailing from Japan, Okamoto was in Tokyo at the time of the earthquake and tsunami, and saw first hand the devastating effects of the natural disaster. In an open letter to the general public, Okamoto recounts the fear felt by her fellow country men and women and encourages "friends of the world" to continue in their support of the relief efforts in Japan. Okamoto who is represented by Ford Models in New York, rose to prominence in 2009 when her waist length hair was cut with dramatic effect into a pixie-like bob. Okamoto has appeared in advertising campaigns for Ralph Lauren, Benetton, Kenzo and Uniqlo, and has also featured in editorials for US Vogue, Interview and i-D Magazine. More a muse to designers and photographers alike, Okamoto is fast becoming an iconic model and her efforts to raise awareness for the Japan Tsunami Appeal demonstrate that beauty is indeed more than skin deep.